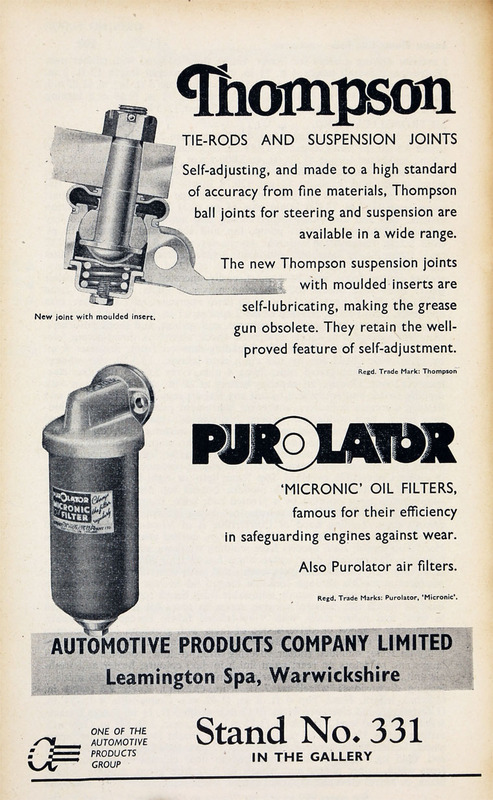 June 1948. 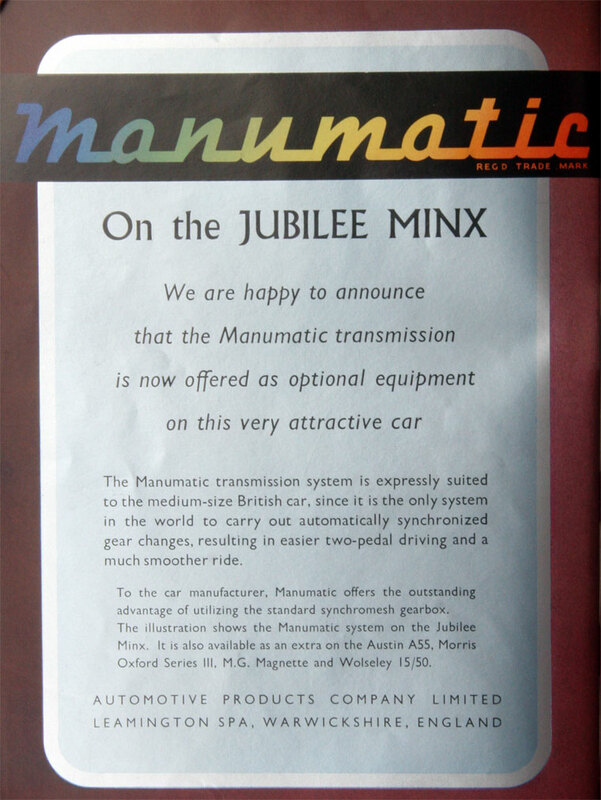 RHS of advertisement. 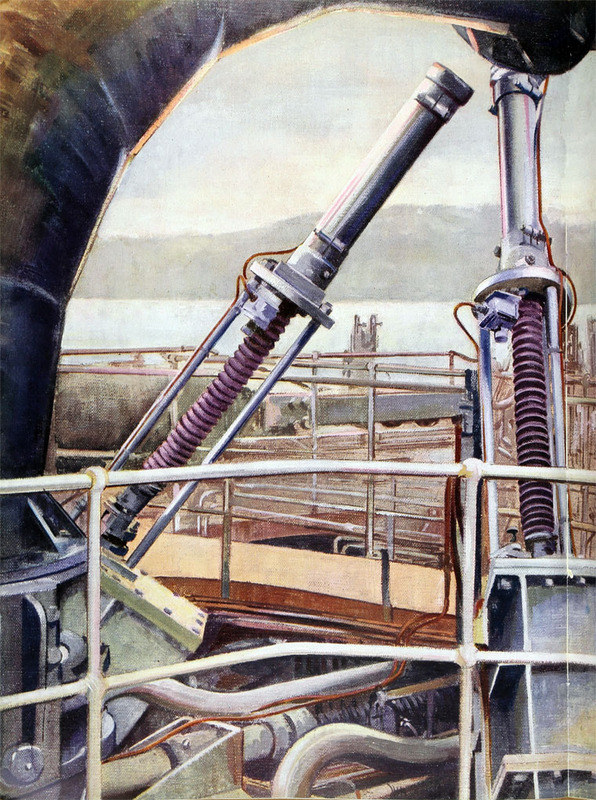 June 1948. 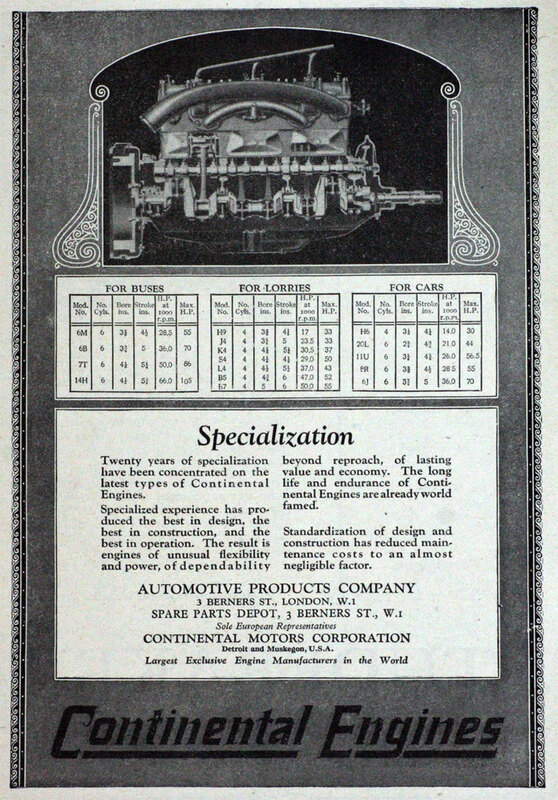 LHS of advertisement. 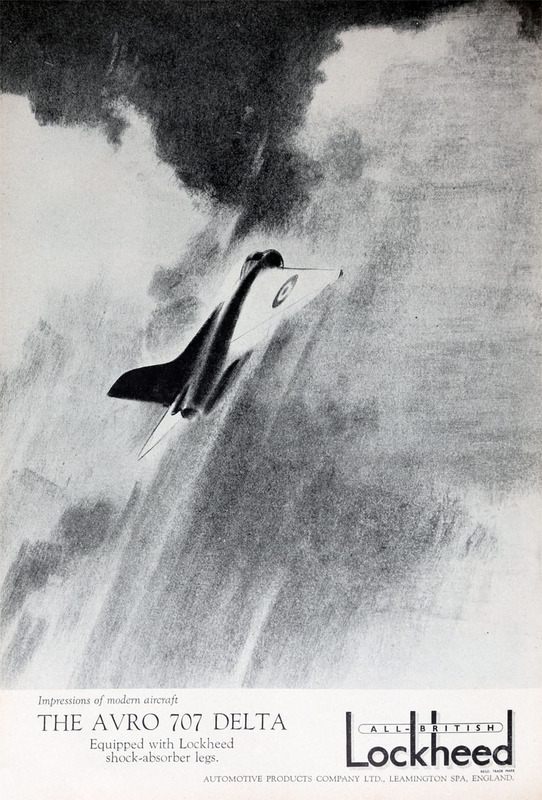 July 1948. 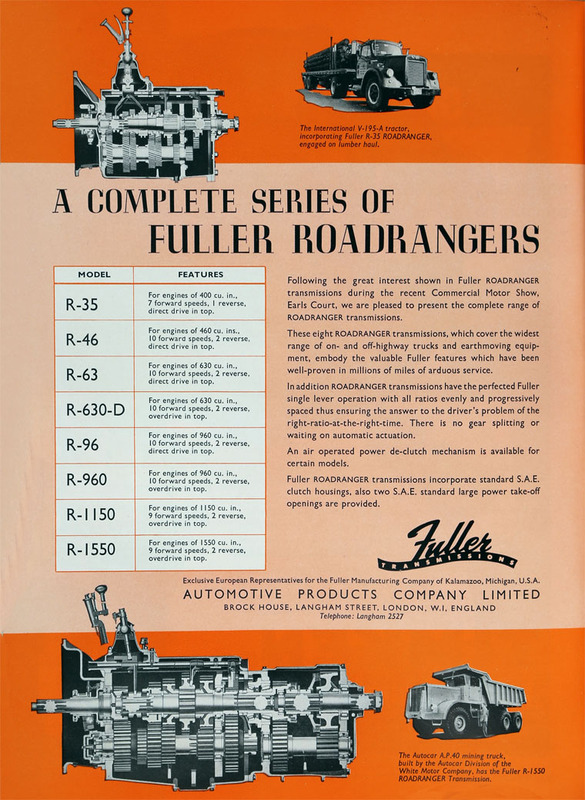 RHS of advertisement. 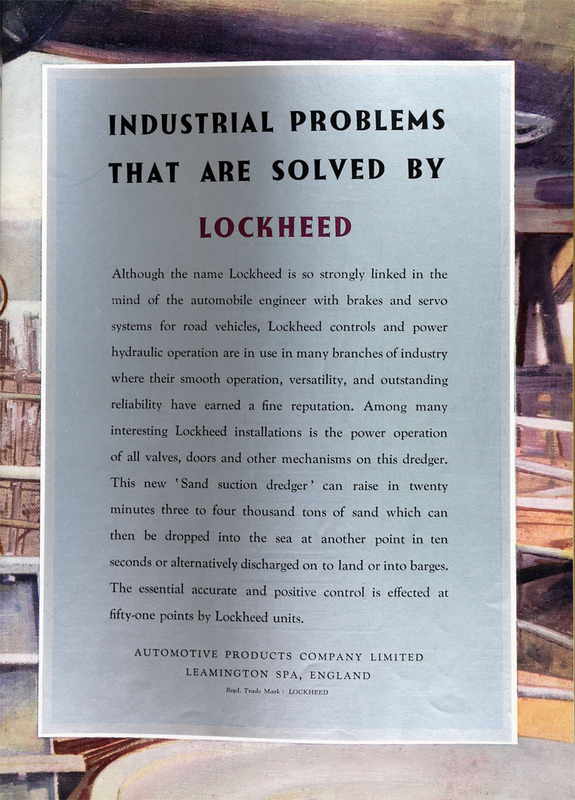 July 1948. 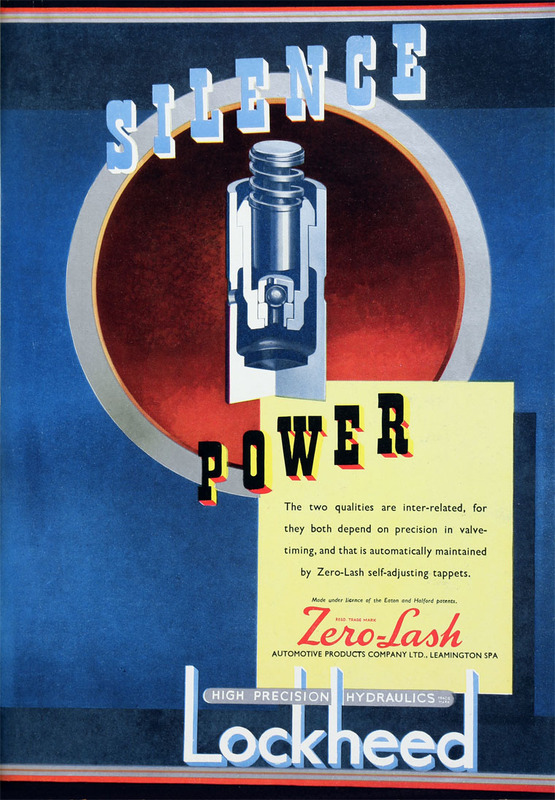 LHS of advertisement. 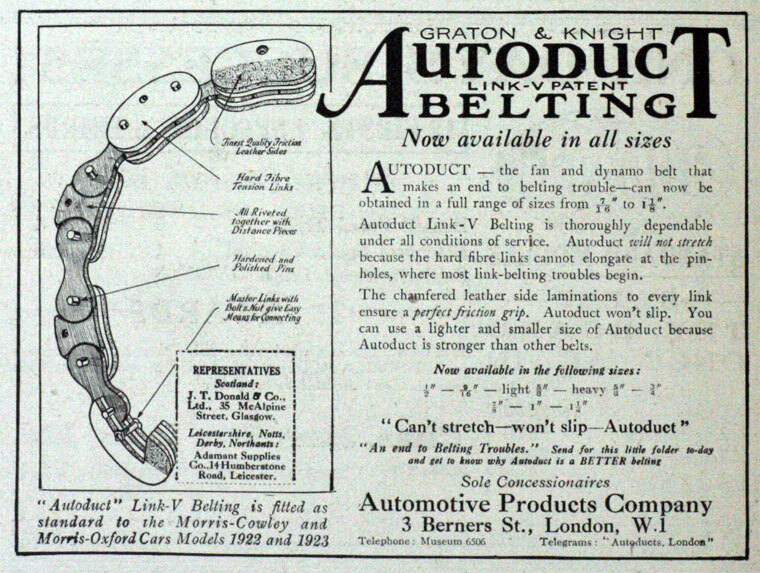 The Automotive Products Company of Leamington Spa and 3 Berners Street, London. 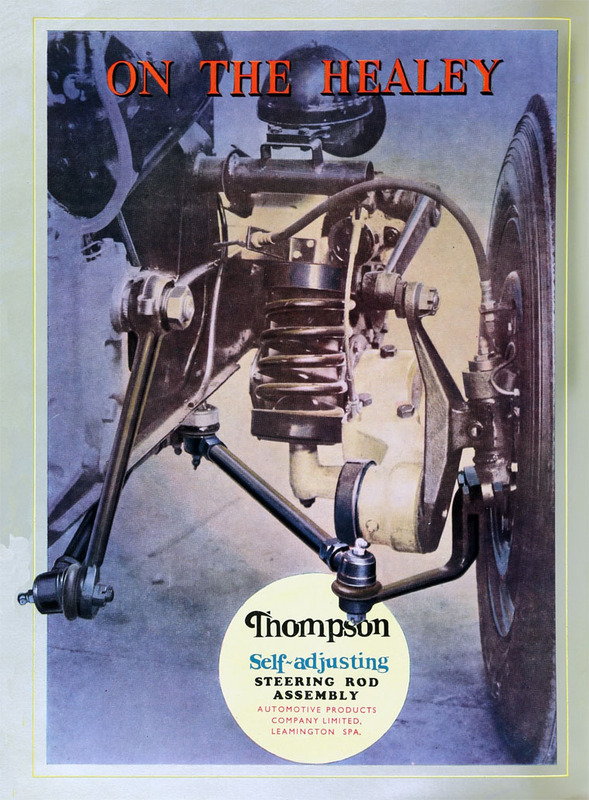 1920 Company founded by Edward Boughton, Willie Emmott and Denis Brock, to import and sell American-made components to service the fleet of ex-military trucks left behind in Europe after World War I. 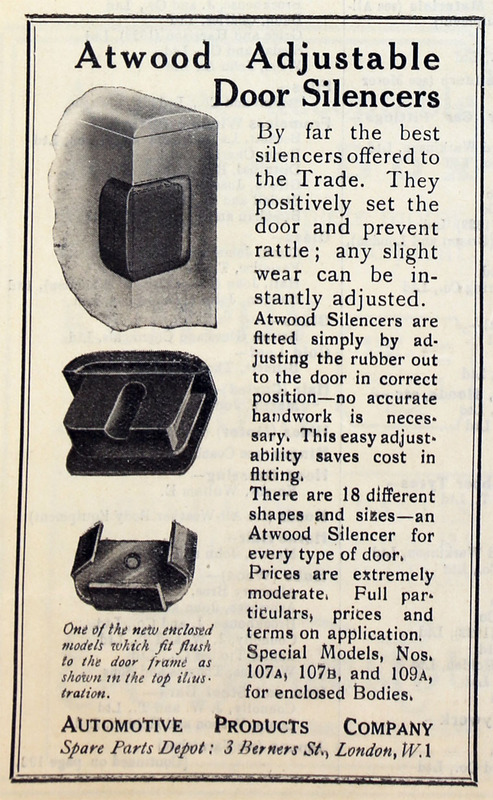 1920 November. 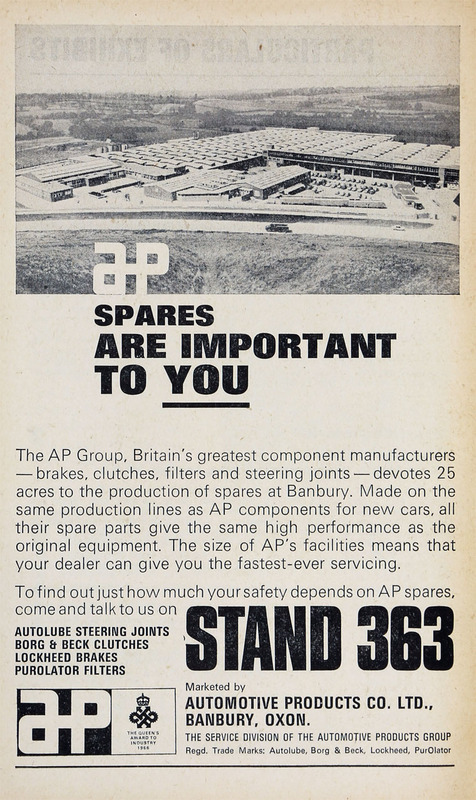 Exhibited at the Motor Car Show at Olympia and the White City with a belt for light power drives using hard fibre tension links. 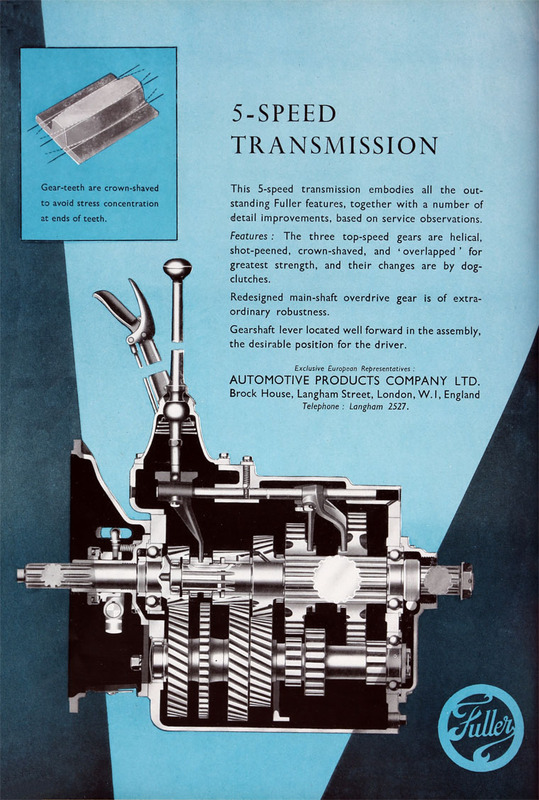 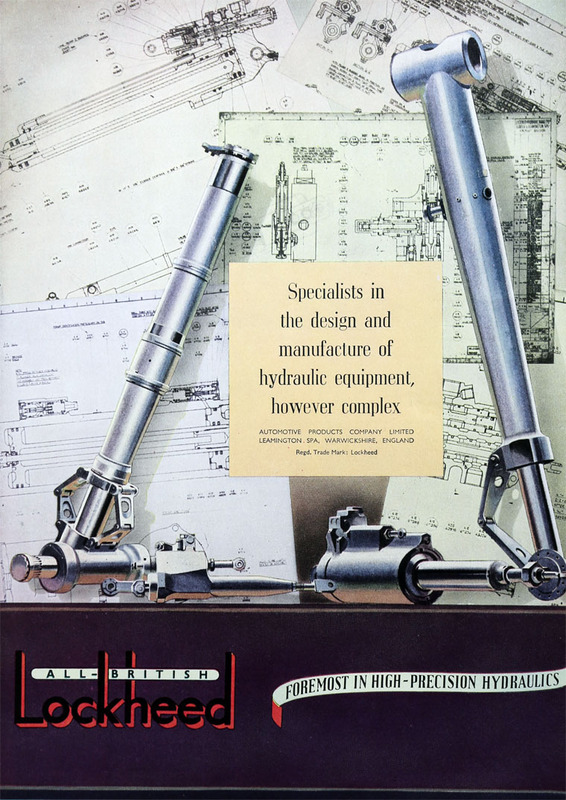 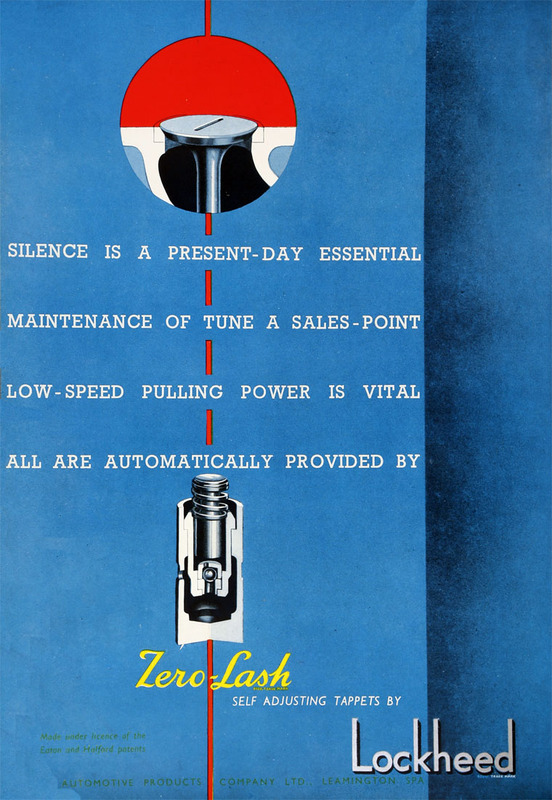 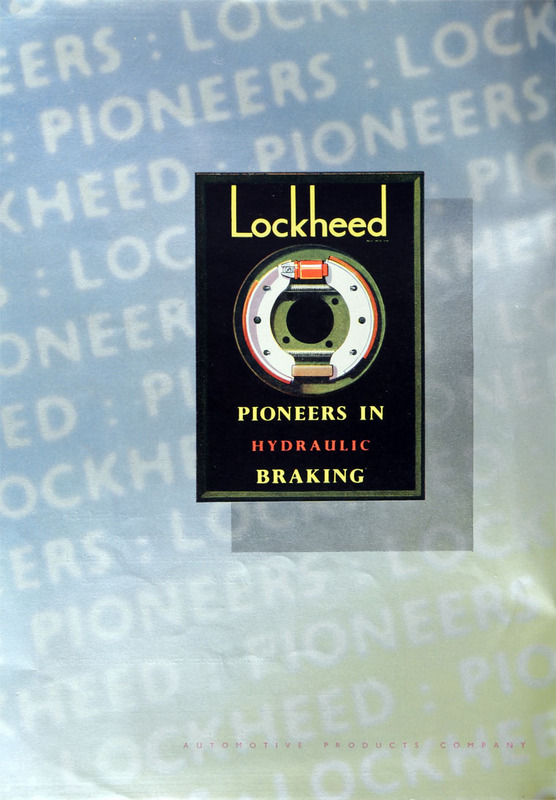 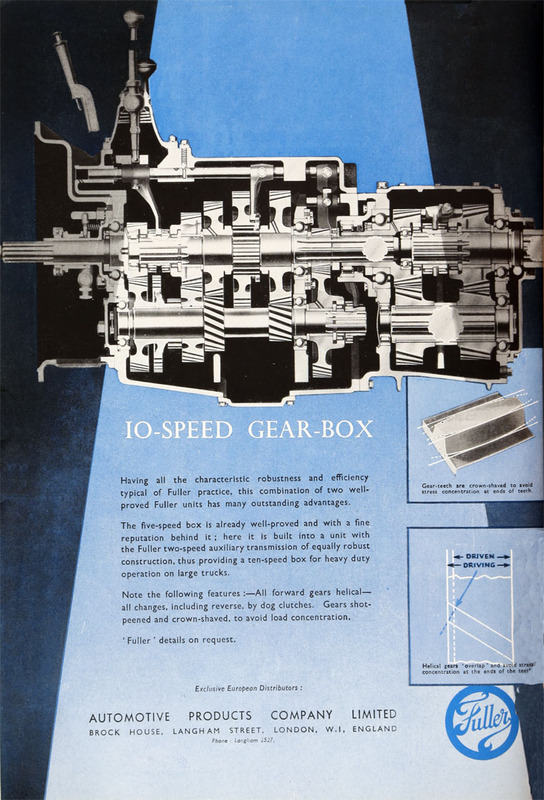 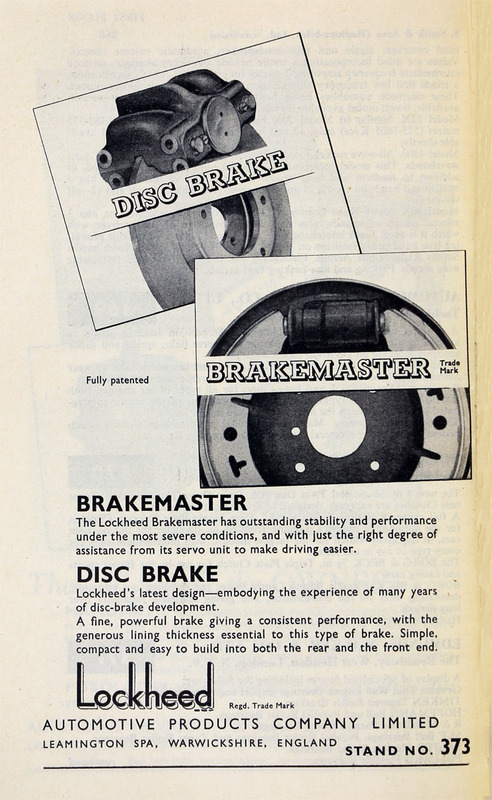 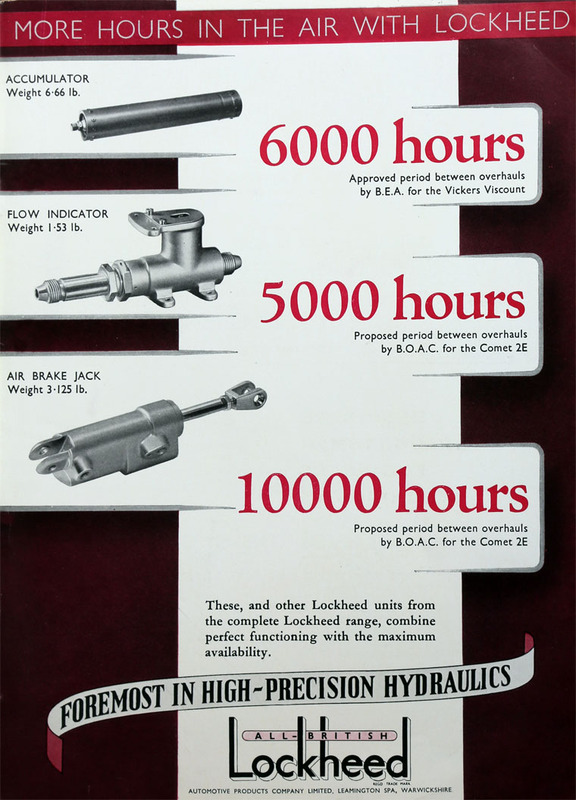 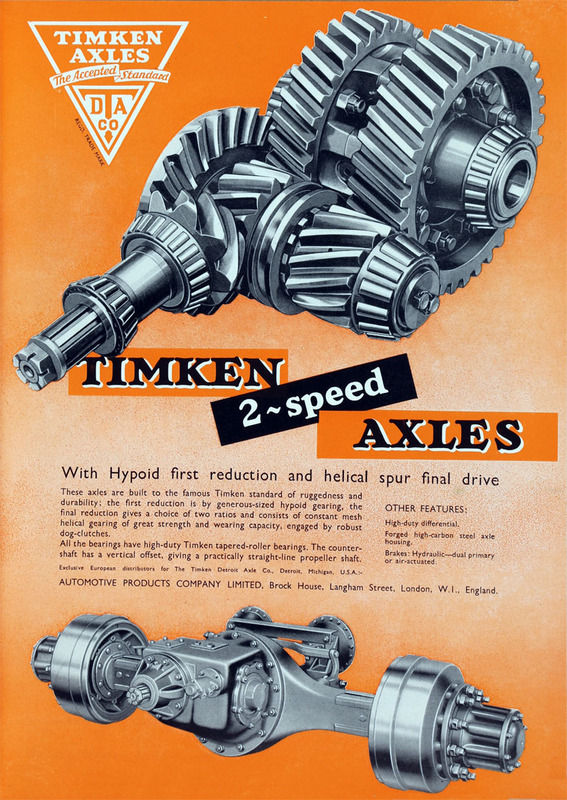 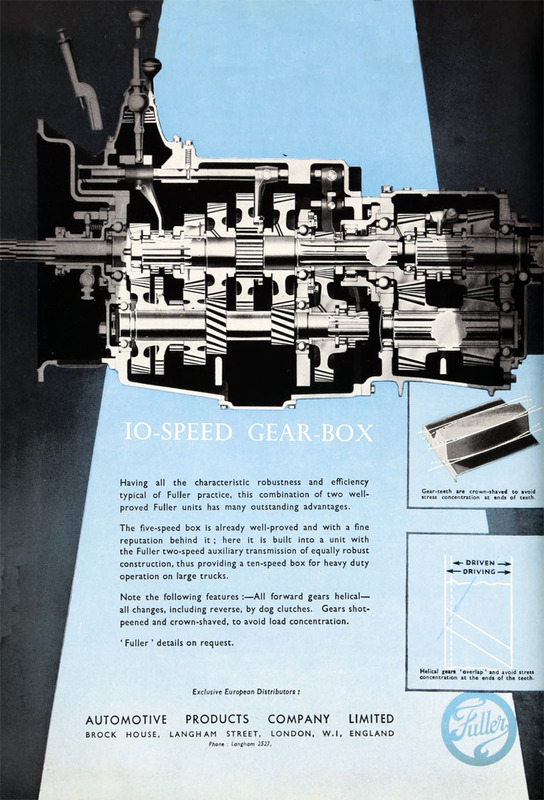 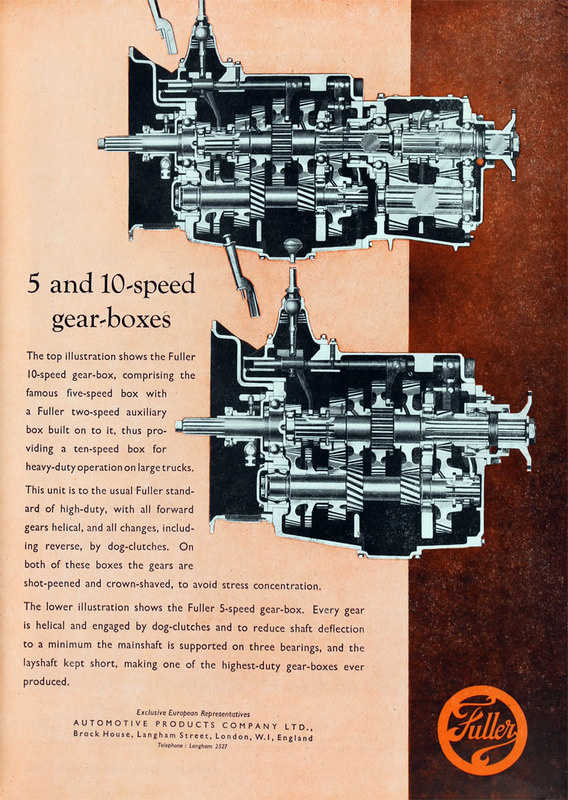 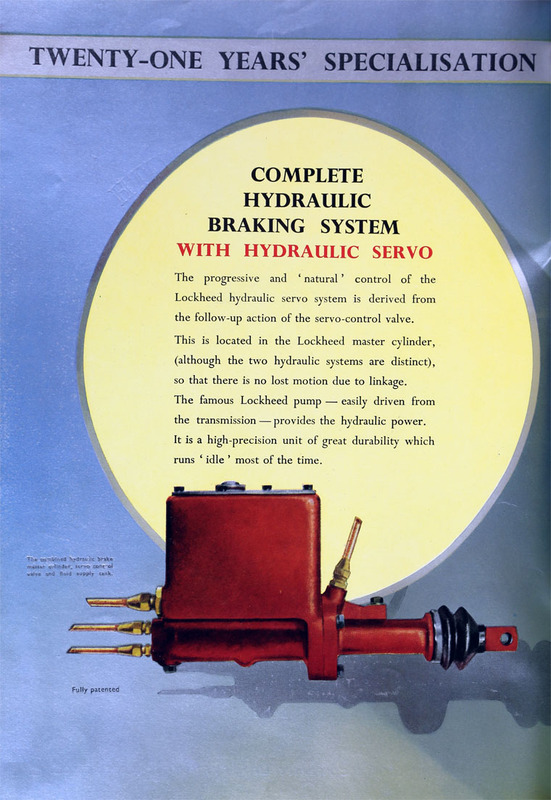 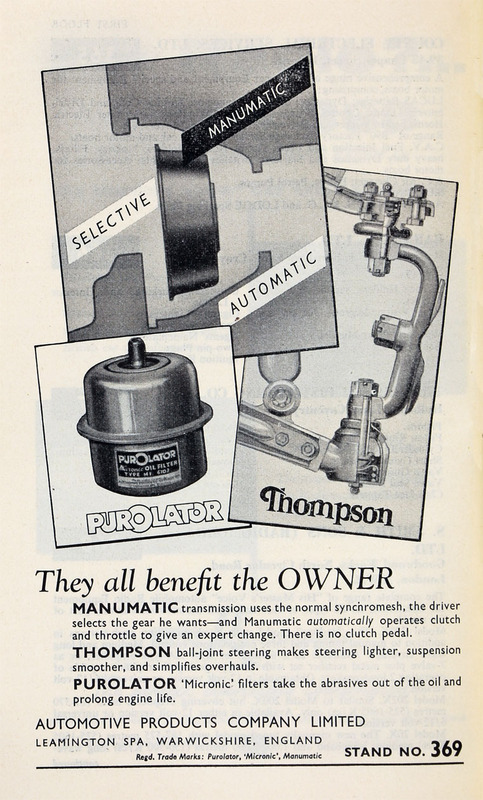 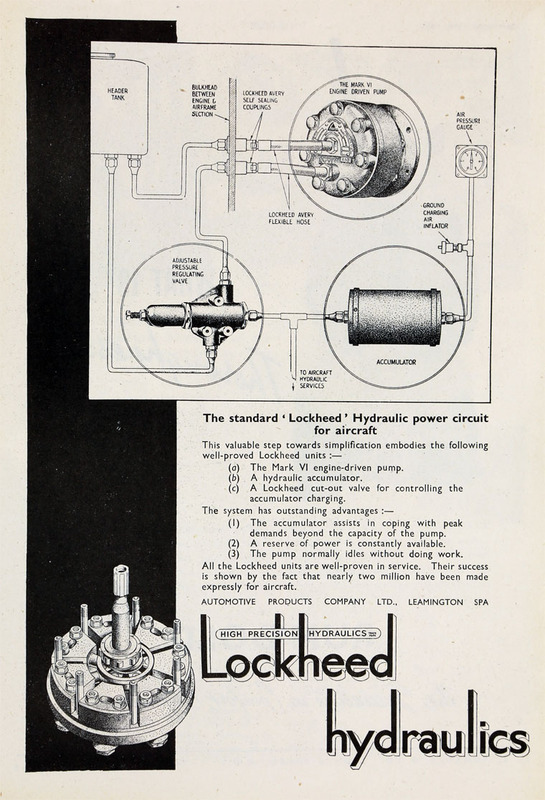 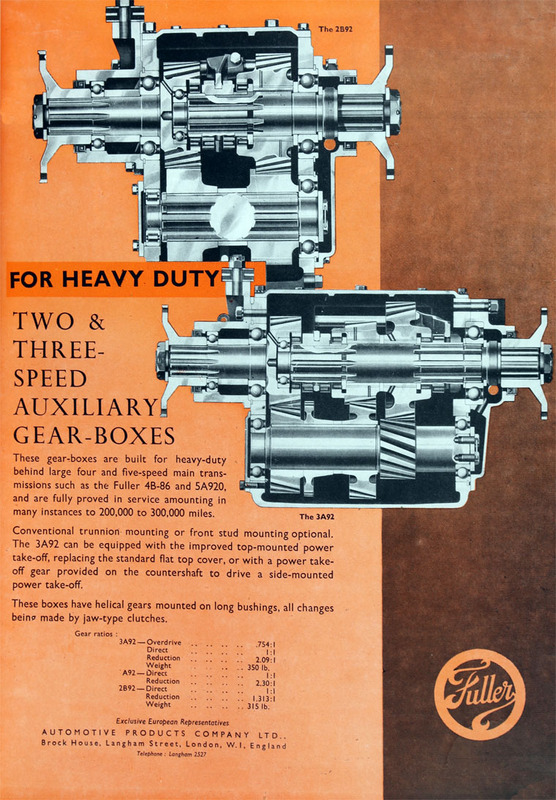 1928 Gained manufacturing rights for Lockheed hydraulic brakes; acquired Zephyr Carburettors which became Lockheed Hydraulic Brake Co.
1931 Borg and Beck Co incorporated to make clutches. 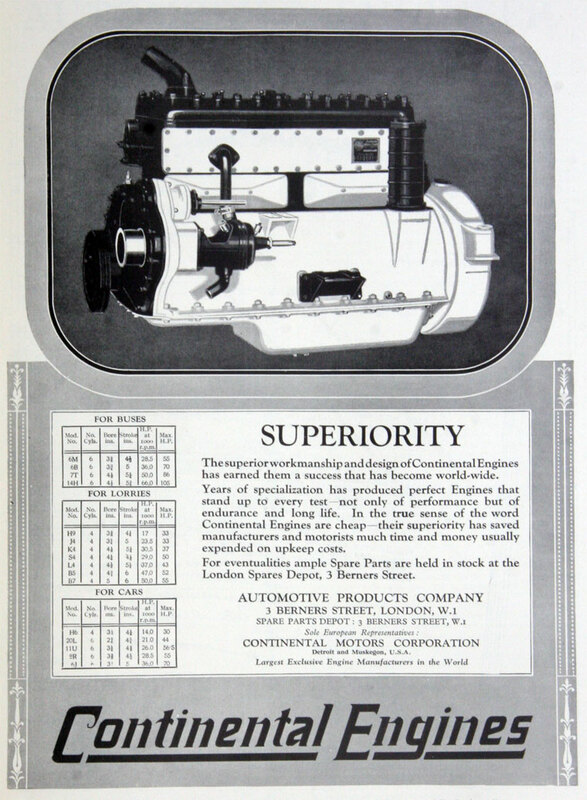 1932 Became private company, to sell the products of the group, except Borg and Beck products. 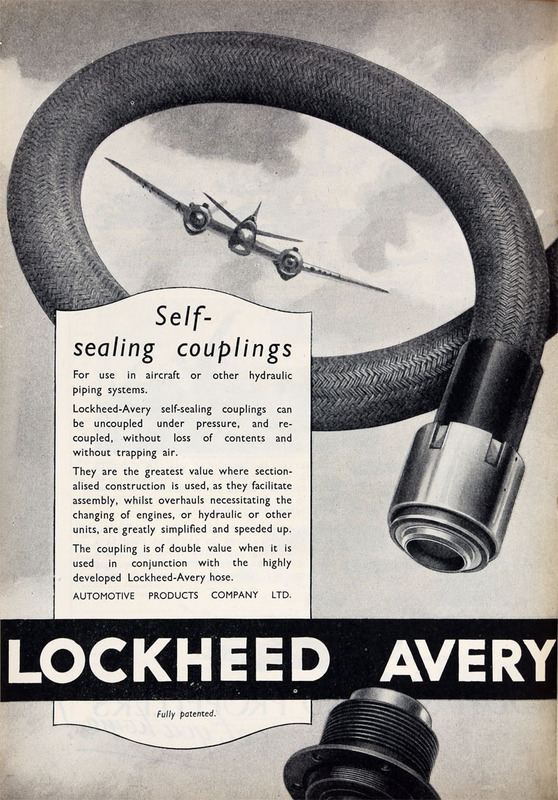 1939 See Aircraft Industry Suppliers. 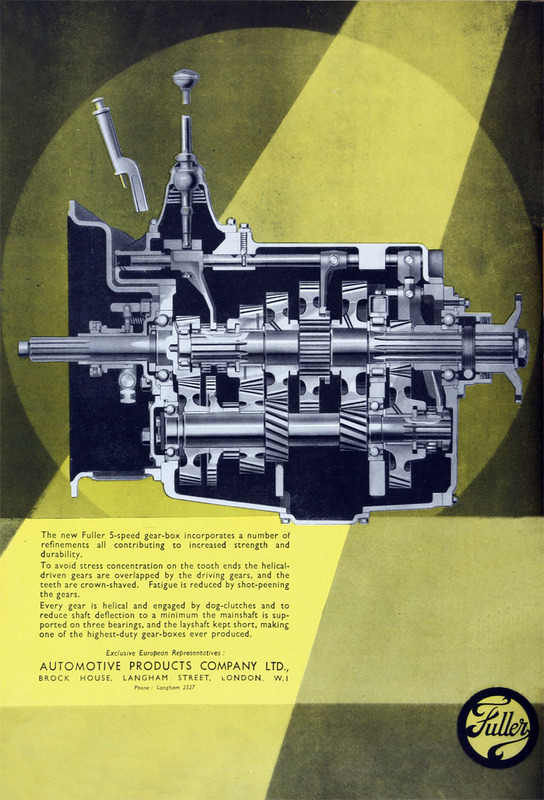 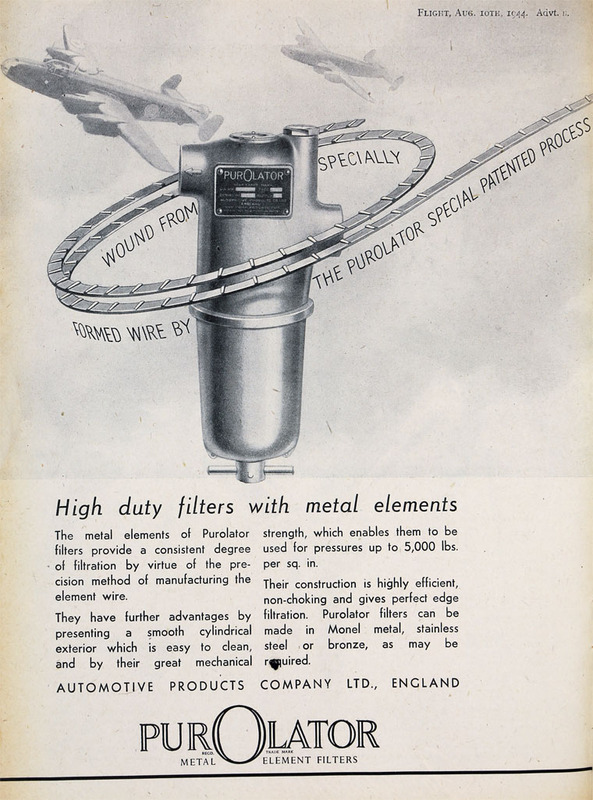 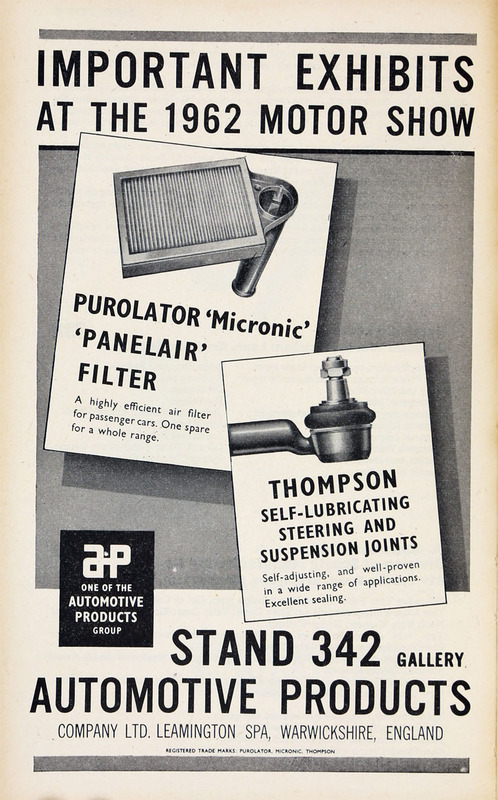 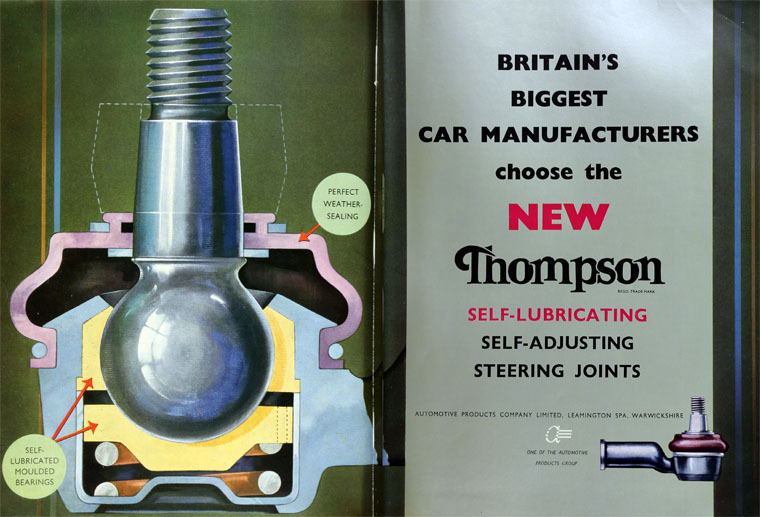 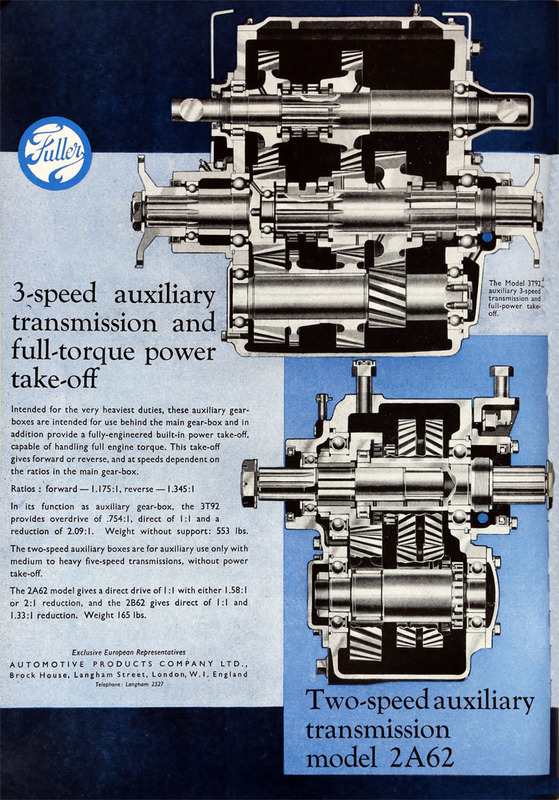 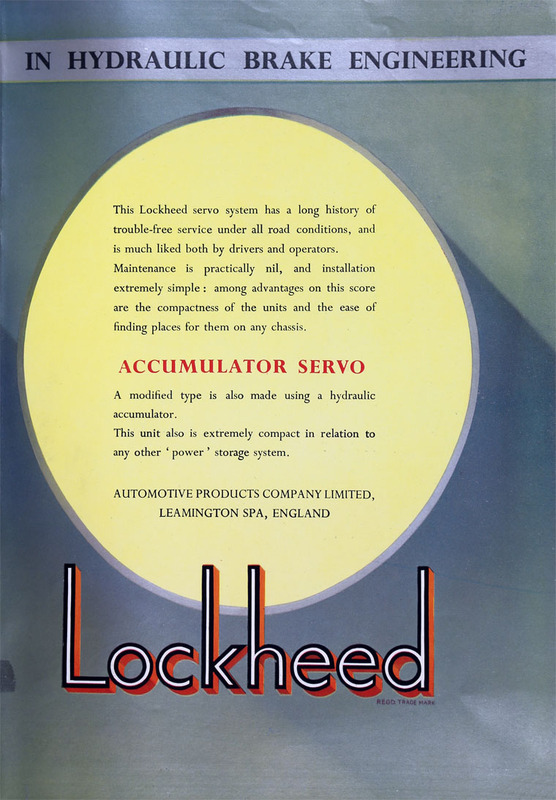 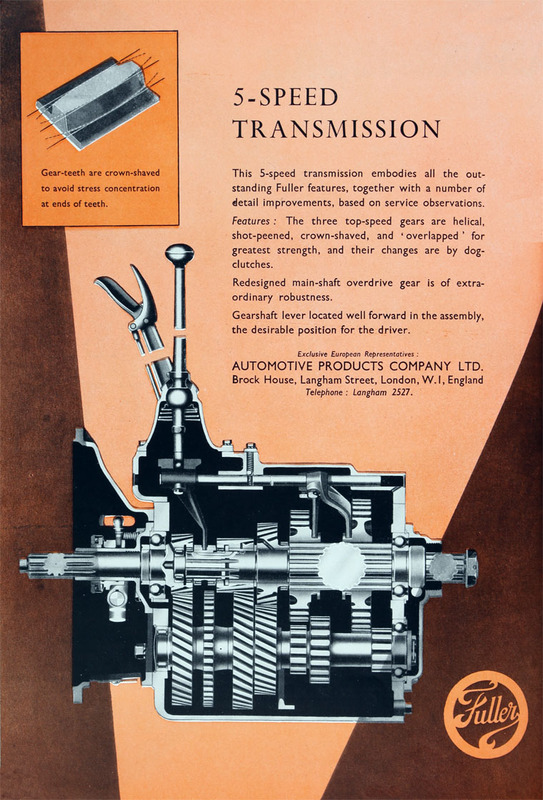 1949 Automotive Products Associated Limited was incorporated to acquire the whole of the share capital of Automotive Products Co ltd, Borg and Beck Co Ltd, Lockheed Hydraulic Brake Co Ltd and subsequently converted into a public company. 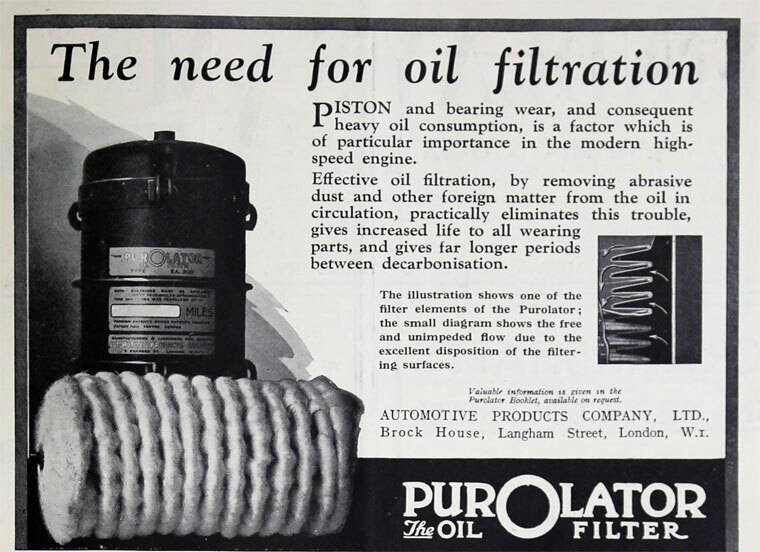 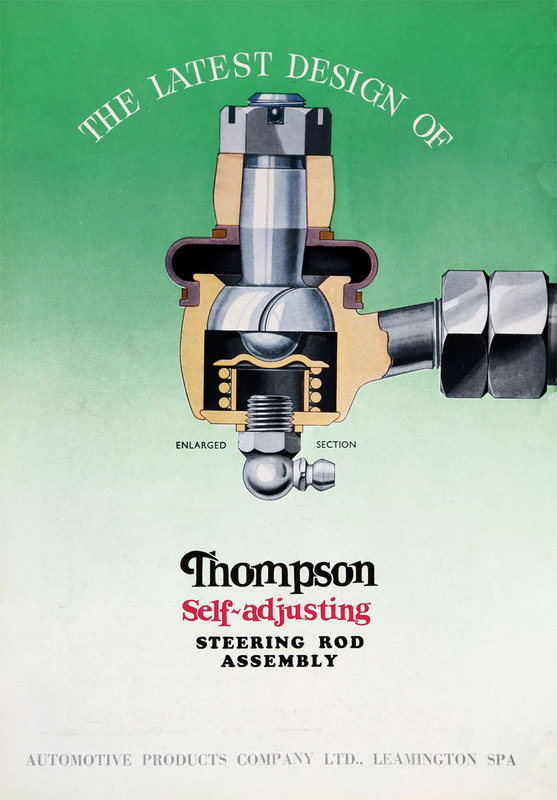 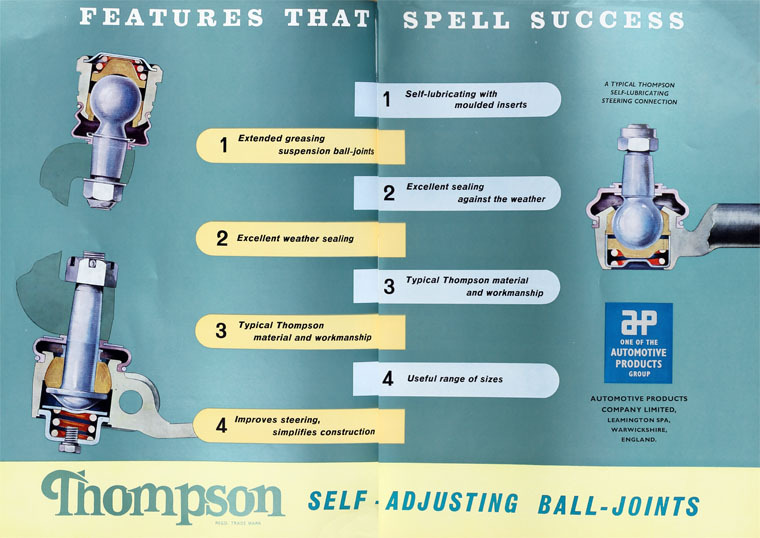 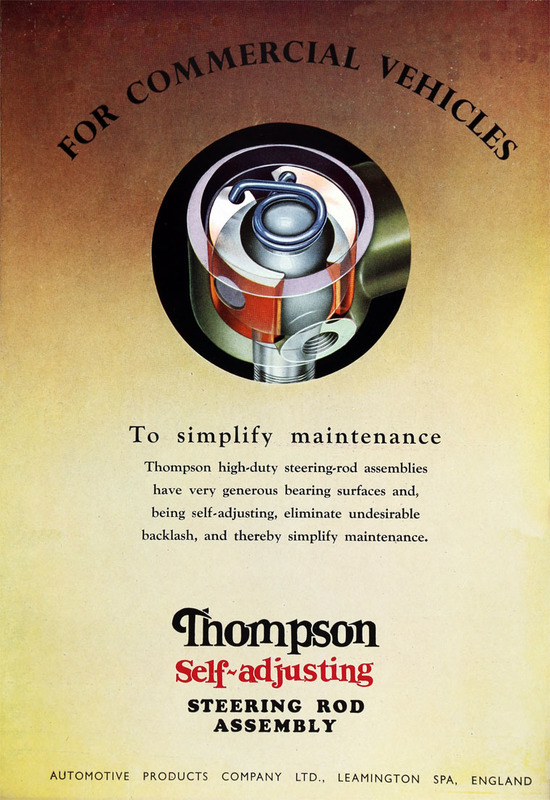 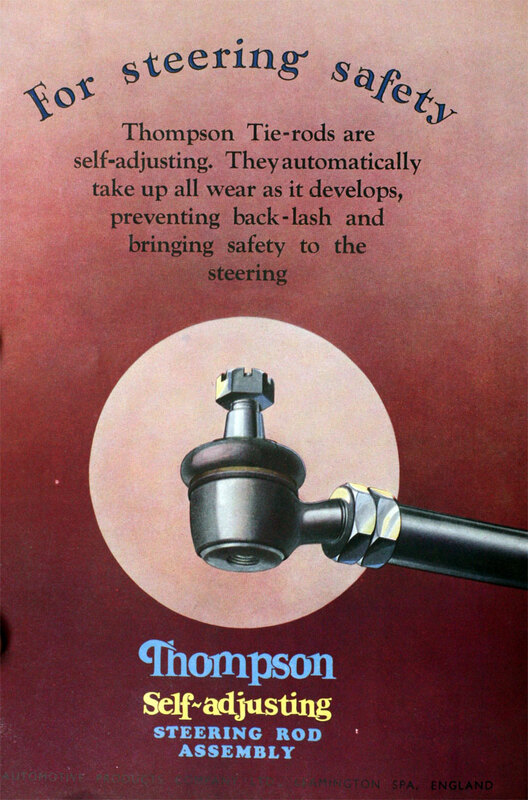 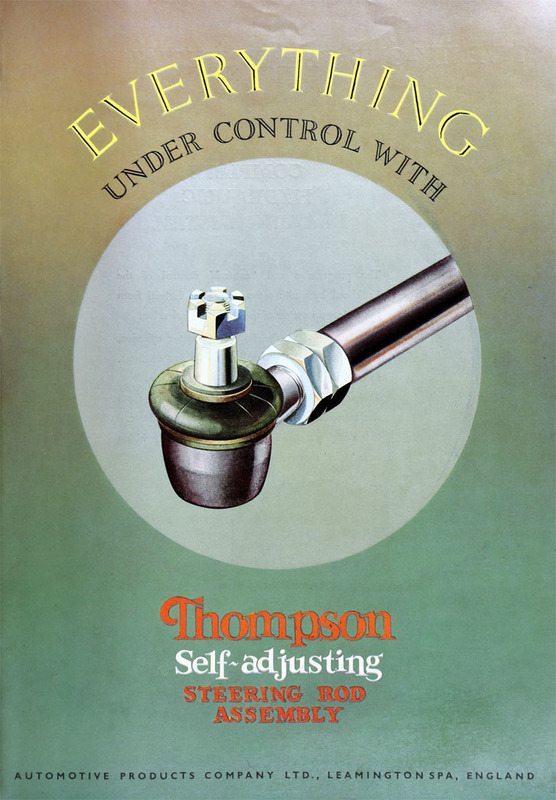 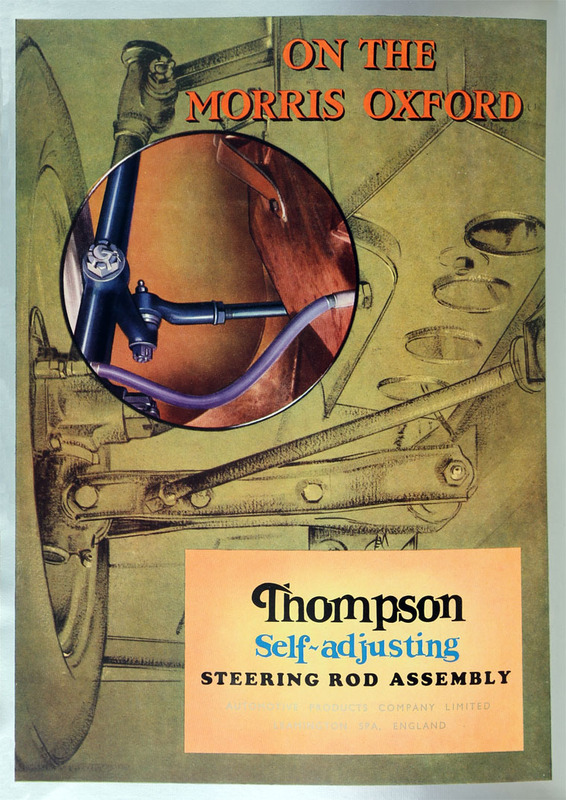 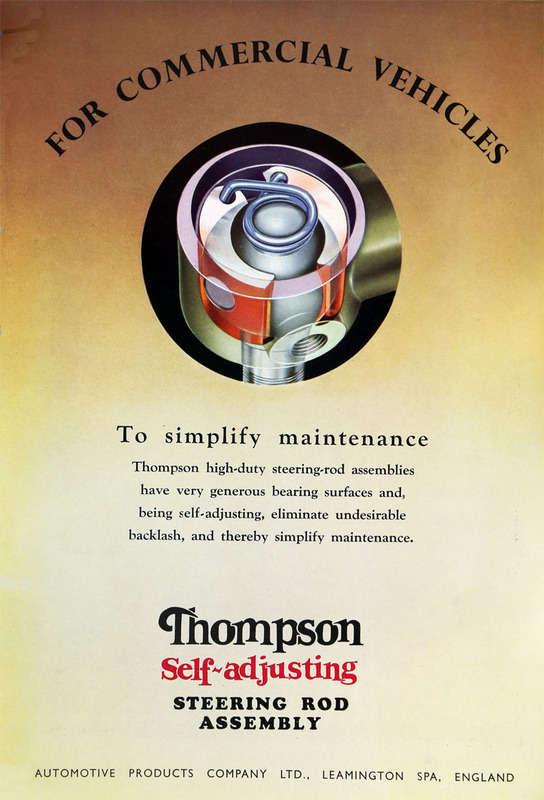 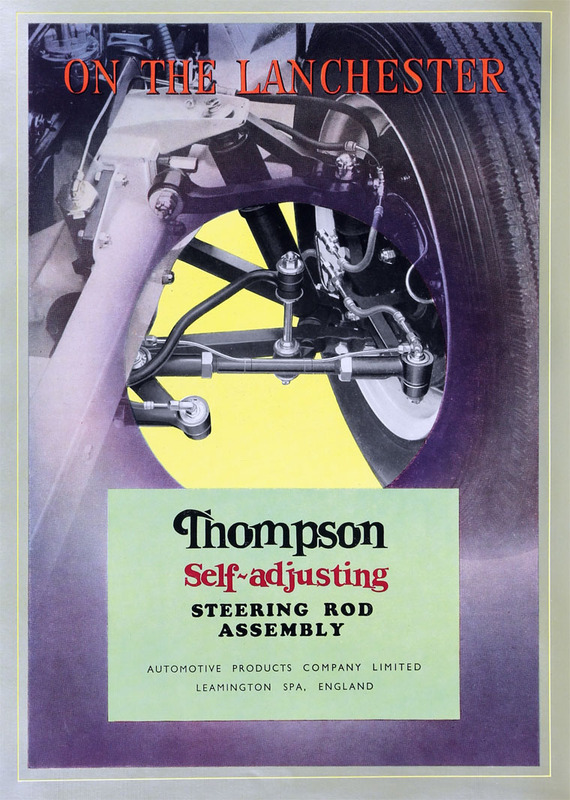 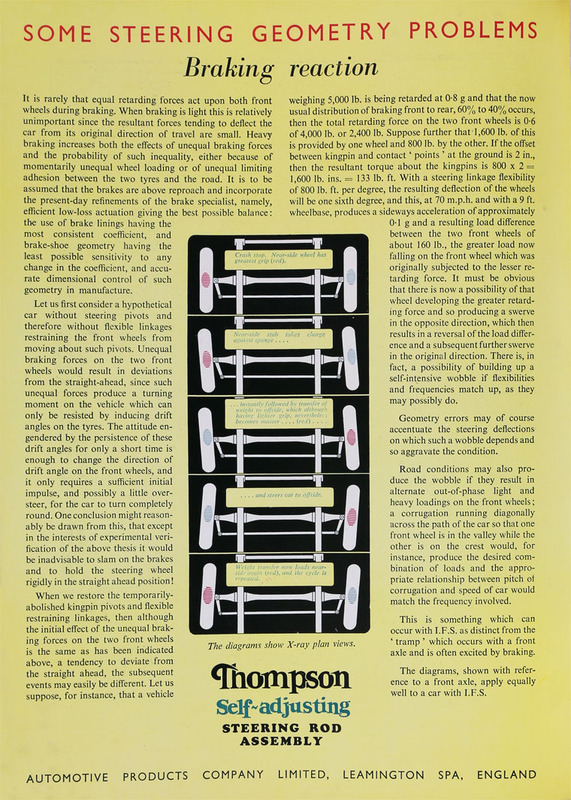 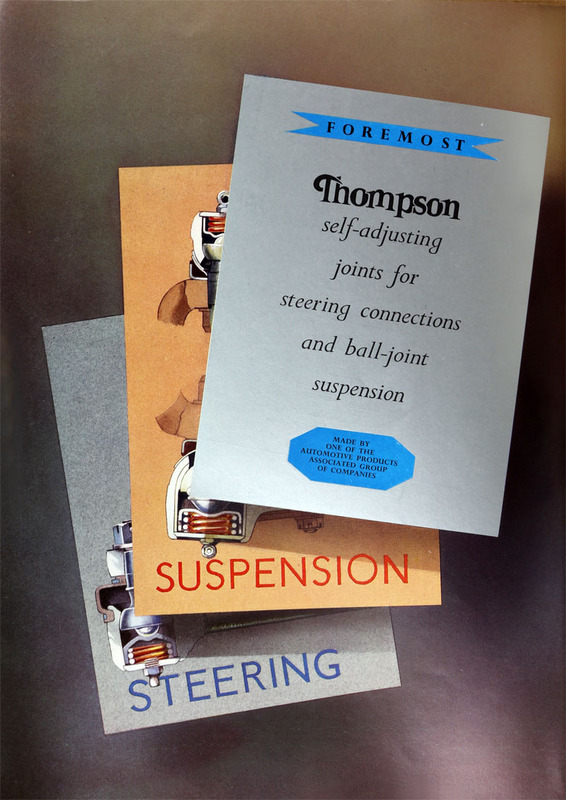 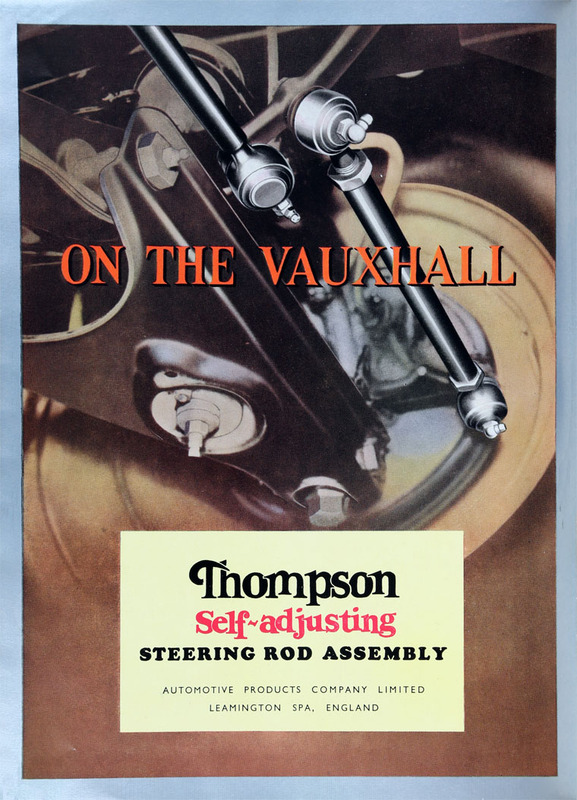 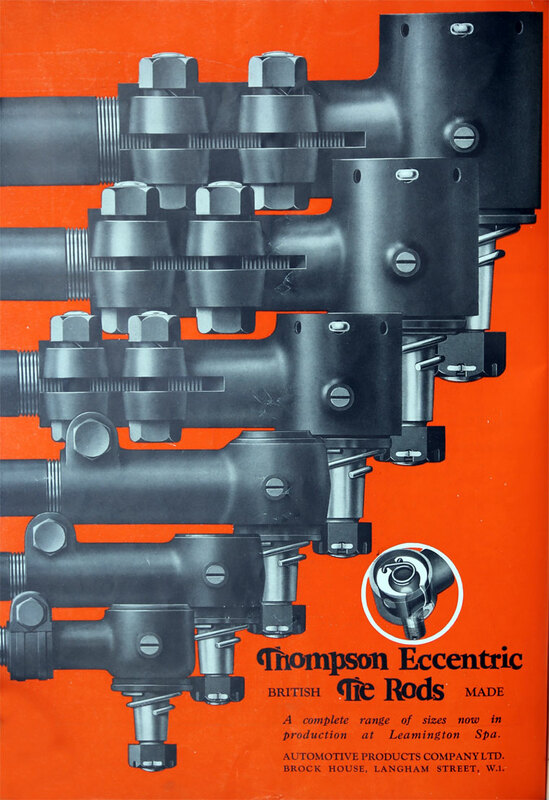 Also manufactured Thompson steering track rods, Purolator filters, and various aircraft components. 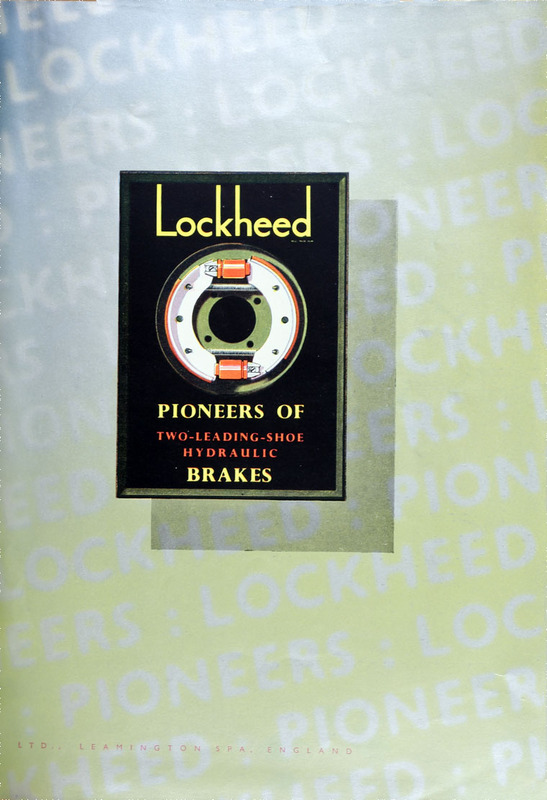 1958 Formation of Lockheed Precision Products subsidiary. 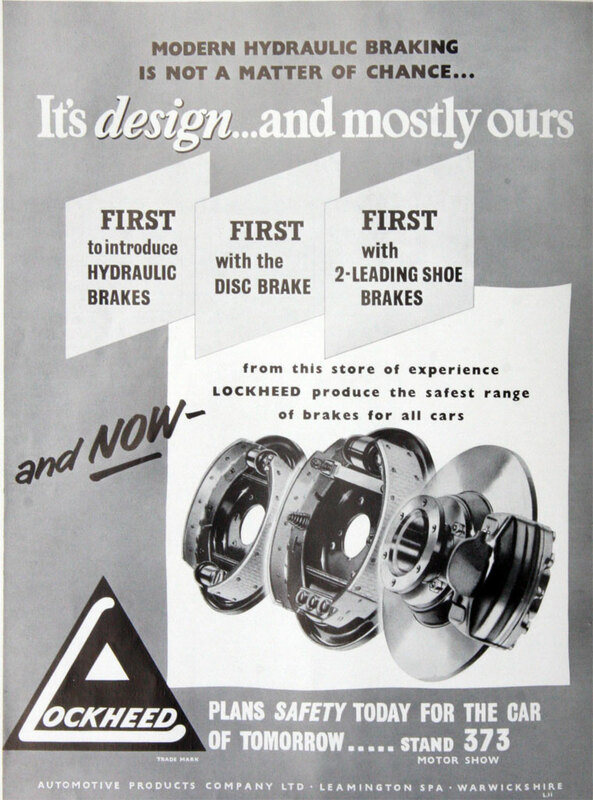 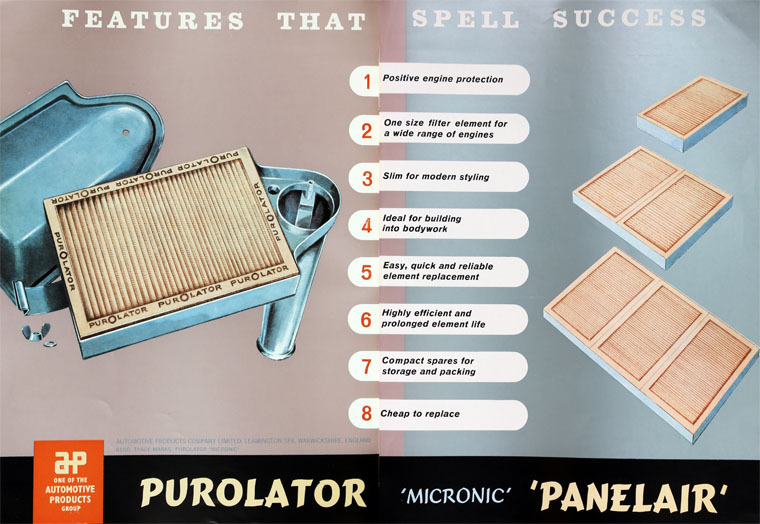 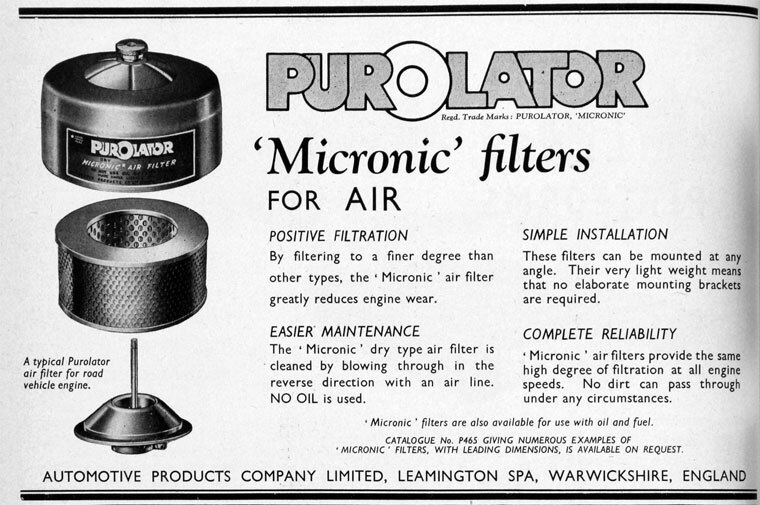 By 1959 was part of Automotive Products Group. 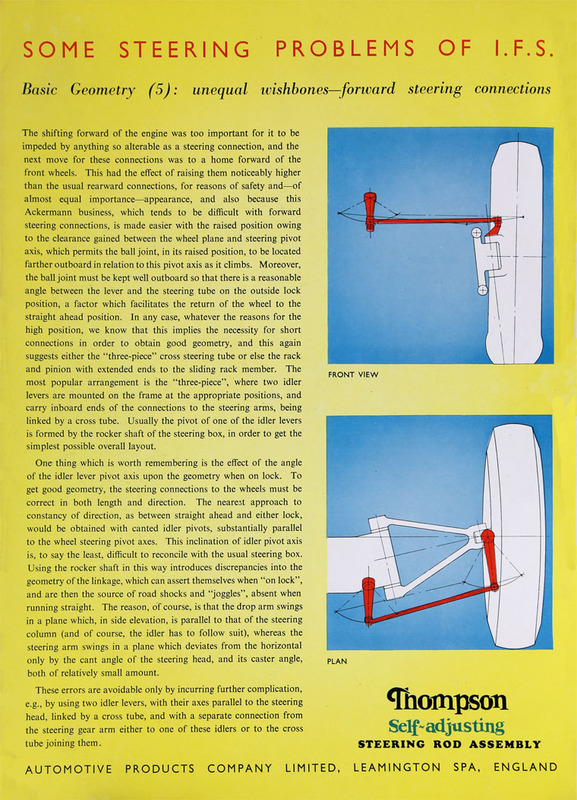 This page was last edited on 7 December 2018, at 09:50.